Make the rice and have it ready. 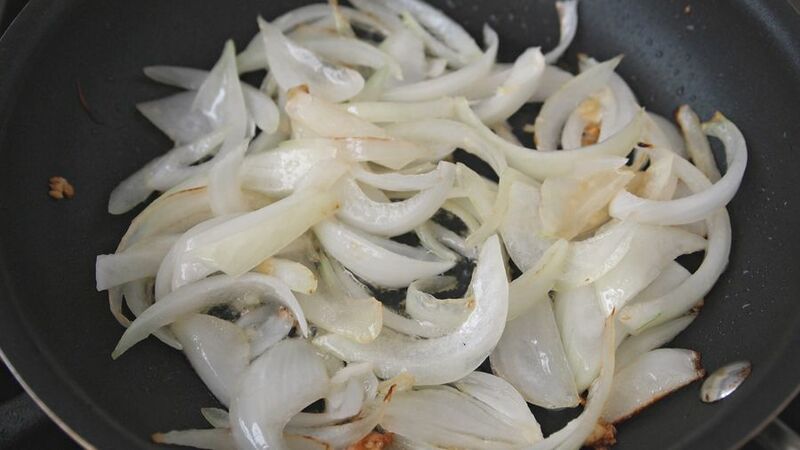 Heat the oil in a pan and add the garlic and onion, allow to reduce a few minutes until they’re soft. Add the poblano peppers and the tomato. 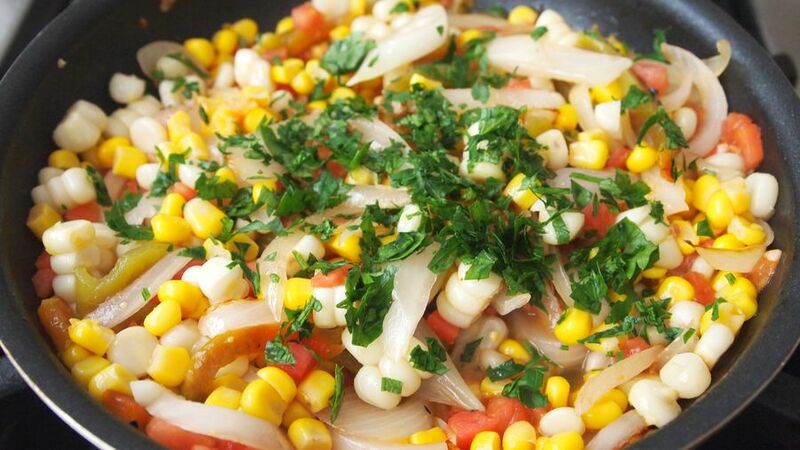 Cook for a few minutes and add corn, salt, pepper, and cream. Let it reduce for a little bit. Then, add the parsley. 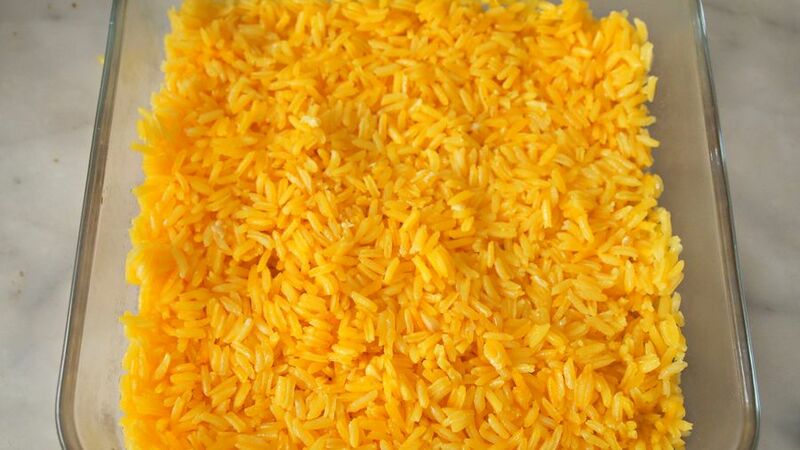 In a lightly greased mold, put half the rice. 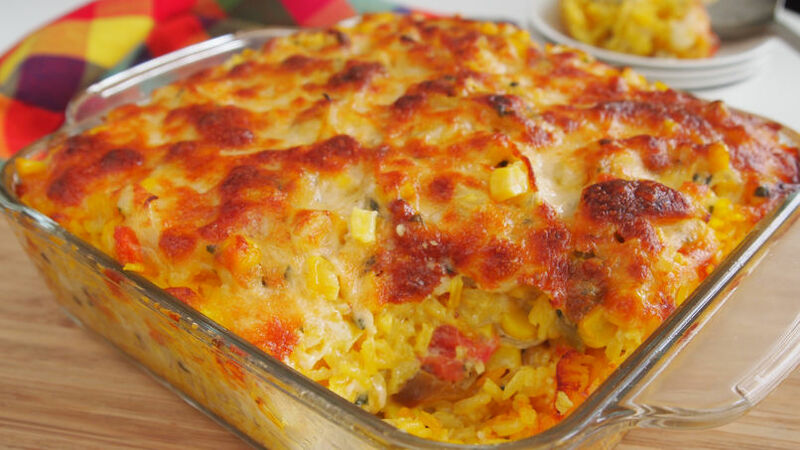 Cover the rice with half the vegetables and half the cheese. 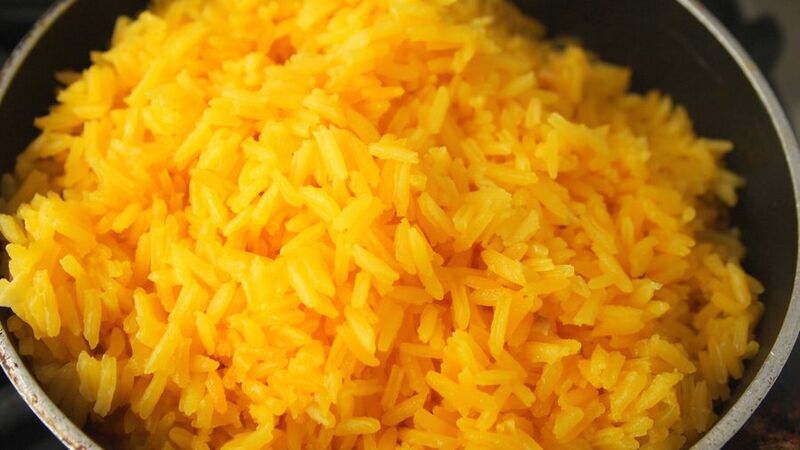 Then, add the rest of the rice, vegetables, and cheese. 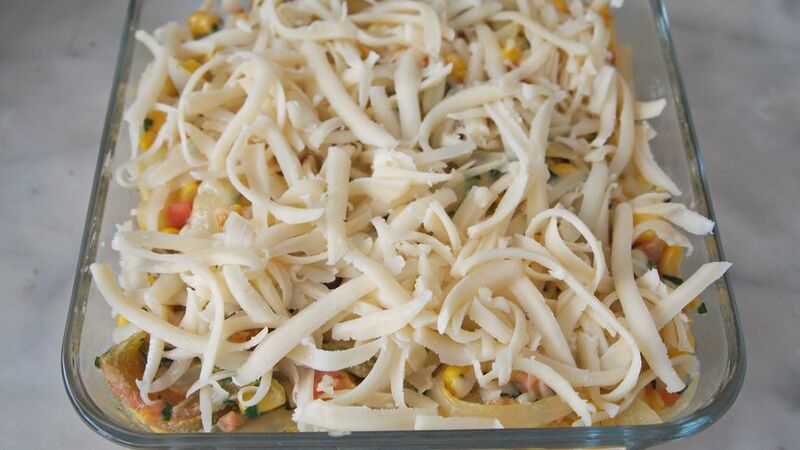 Bake for 20-25 minutes or until the cheese has melted and browns. Remove from the oven. Let it cool down for a few minutes and then serve with stews or barbecues, or with anything you like. Use chopped cilantro instead of parsley. If you want, you can make green rice by blending part of the poblano peppers with cilantro and cooking the rice with this. 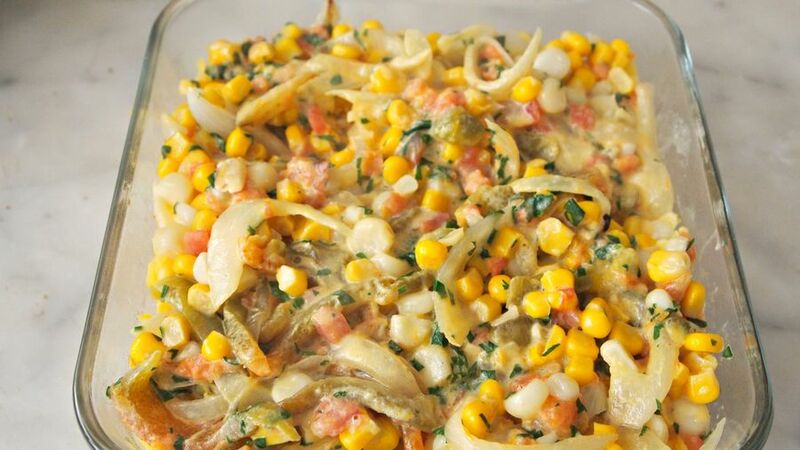 Skip the corn and tomatoes. Use only garlic, onion and poblano chili.